Product is made of wood and decorated by velvet clothes. It can be used for trousseau packing in wedding ceremonies or in home decor. 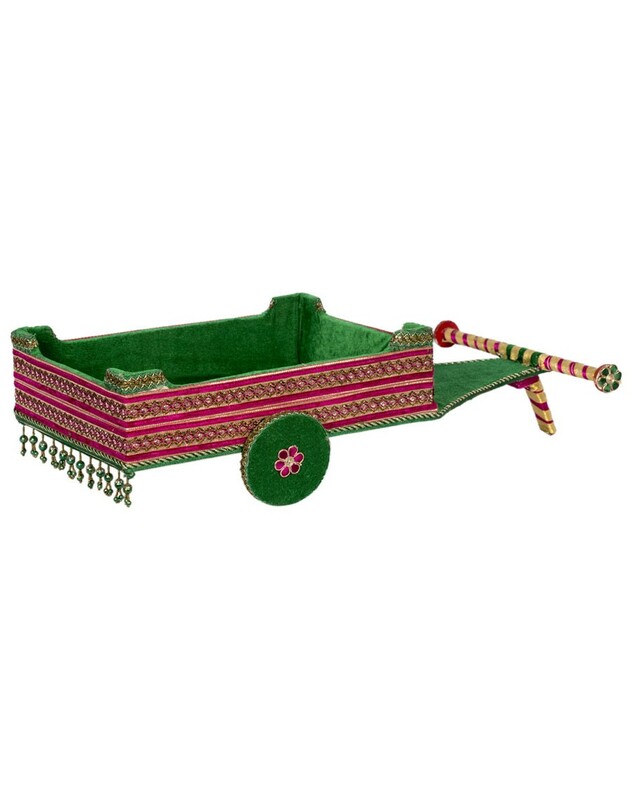 The wooden cart is crafted handmade and is decorated using colorful velvet cloths. It can be used for trousseau packing in wedding ceremonies. It can be used as a unique decorative piece in the house as well. The velvet material that is used to cover the cart provides it a royal look.